Twenty-seven miles outside of the Golden Gate, over an expanse of ocean populated by dolphins and humpback whales, we arrived at an island chain. The past 45 minutes had been queasy ones. My husband I both took dramamine and wore “sea bands” for nausea, but it was choppy and the $6 coffee from Pier 39 lurched in my stomach. Frequent animal sightings heartened us on the way, however, and before long we were there. In the San Francisco tradition, the whole landmass was fogbound. 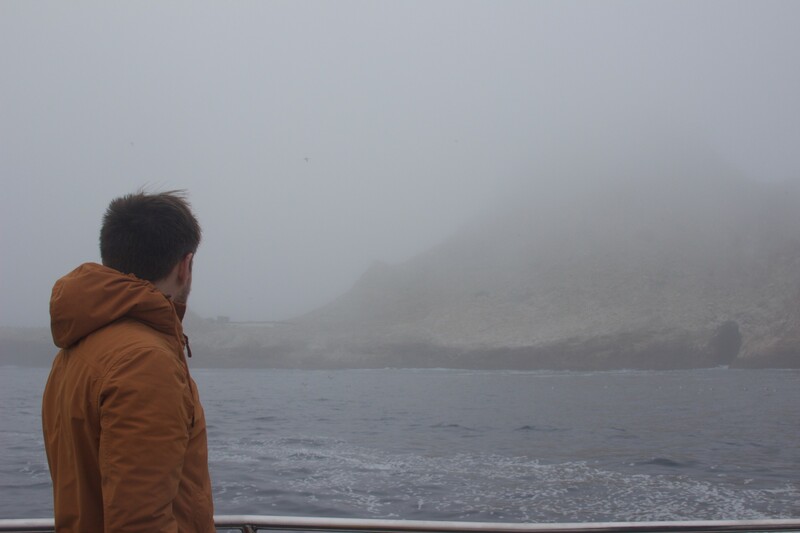 As the boat slowed, we squinted into the mist and tried to spot the owners of the shrill cries filling the air. Within a few minutes, the island’s craggy edges came into sharper relief and thousands of birds made themselves known, perched on the rocks and flying overhead. We had made it to the Farallons. It’s hard to describe my initial reaction to the islands, but the best I can say is uneasy delight. They’re both desolate – the sole pitstop between SF and Hawaii – and teeming with life. 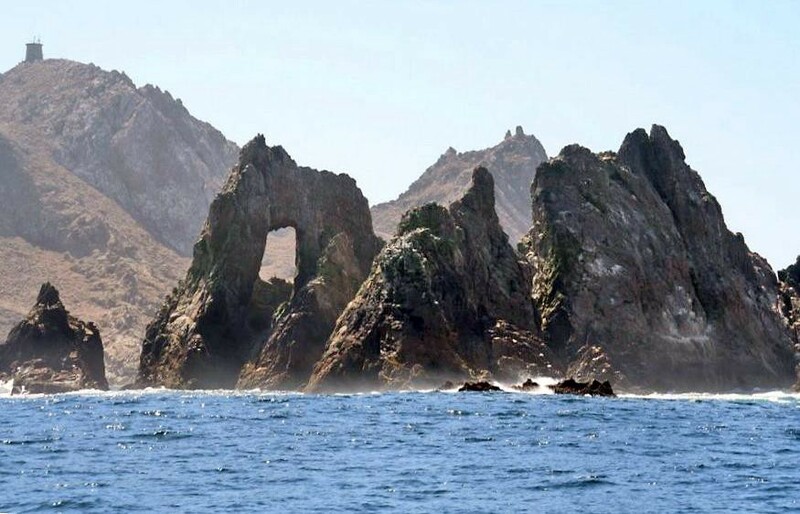 Thanks to its unique geographical location, the Farallons are a wildlife sanctuary that rival the Galapagos. Just beyond where our boat moored, the continental shelf sloped downward from about 400 ft to nearly 2 miles. 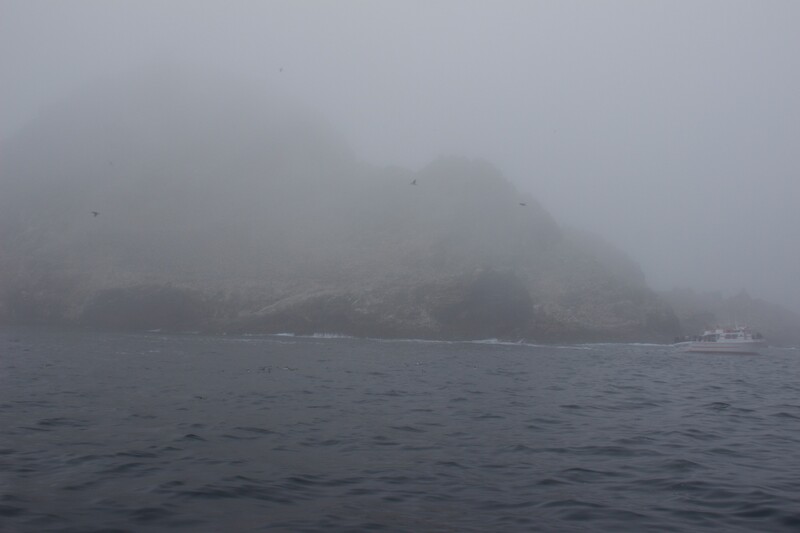 The Farallons are also a massive bird sanctuary. Murres nest here by the thousands and so do rarer finds like tufted puffins, with bright orange beaks that contrast beautifully with the gray sea. At first glance, the islands seem firmly in the deed of winged, toothed and flippered landlords. But, as we circled, we eventually saw signs of human existence. A lighthouse on a cliff, shabby buildings, a loading pad. It got me pretty curious as to how humans had changed and impacted the islands over time. So, after arriving back home, I spent a little time researching what turned out to be a colorful history with gunfights, secret wartime research, shipwrecks and exploration. I also found that the history of the Farallons is interwoven with the history of California itself — in many ways embodying the San Franciscan spirit and the sea-saltiness of the west coast. The islands received their first name before anyone set foot upon them. Local Native Americans called them the islands of the dead, though it doesn’t appear they actually traveled to them. Whether that was due to the minor challenge of getting there or actual fear of the place, is lost to history. Of course, land didn’t go unclaimed for long in the age of exploration and in 1539 Spanish explorer Juan Rodriguez Cabrillo landed there and christened the islands the Farallons, or small pointed islets. 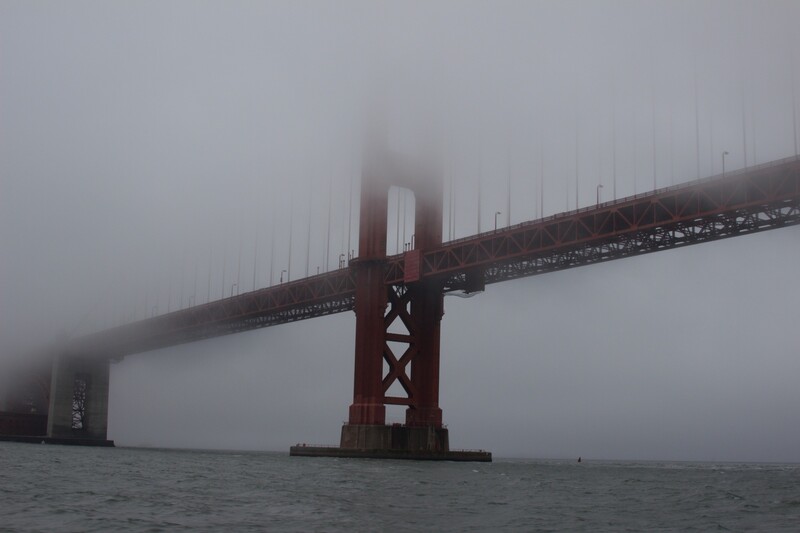 Cabrillo’s expedition was historic in its discovery of Point Reyes and Monterey Bay, but in an oversight that could have altered the history of San Francisco forever, his crew missed the fog-obscured Golden Gate. 40 years later in 1589, English explorer Sir Francis Drake landed on the Farallons, gathering seal meat and bird eggs to sustain his crew. He called the islands St. James, after the feast day on which they made land. Drake of course would go on to make many discoveries that define modern California (and become the namesake for businesses, schools, roads and of course, a hotel where the doormen dress like Elizabethan bards in a high-school play). In 1603, the Farallons received yet one more name. Spanish explorer Sebastian Vizcaino disembarked briefly and appointed them Los Frayles or The Friars. Over the next two centuries, exploration turned to exploitation as Russian and American fur traders slaughtered thousands of seals in the Gulf of the Farallons for their pelts. By the early 1800s, no seals were left to be hunted and mankind stayed away – but not for long. Mankind (er, my husband) gazes at Southeast Farallon Island. Being near San Francisco, the Farallons couldn’t avoid getting swept up in the 1850s Gold Rush. The discovery of gold in the Sierra foothills kicked off an influx of hopeful miners to Gold Country, with most coming by way of the port city of San Francisco. While few actually found the riches they’d dreamed of, newcomers did populate and enliven the burgeoning city. Restaurants and other *services* emerged to serve the growing clientele. Due to the isolation of SF in the 1800s, certain resources became scarce over time, such as chickens. Conveniently, eggs were plentiful on the Farallons as the island’s healthy murre population lay large eggs with blood red yolks. Realizing there was more money to be made in mining eggs than in panning for the elusive nugget, men began trekking to the Farallons. All those tiny white spots? Those are birds. Birds,you guys. Unfortunately the guano hit the fan with the Great Egg Wars. Armadas of men landed on the Farallons’ shore with heavy weaponry (and a cannon!) — ready to thwart the egg company’s claim to the land and its yolky treasure. After a lot of drinking and yelling on both sides, words turned to gunfire and five ended up dead. The federal government decided they had enough, and prohibited all egging henceforth. While it was no Gettysburg, which was unfolding at the same time on the other side of America, it was another defining moment for human influence on the islands. 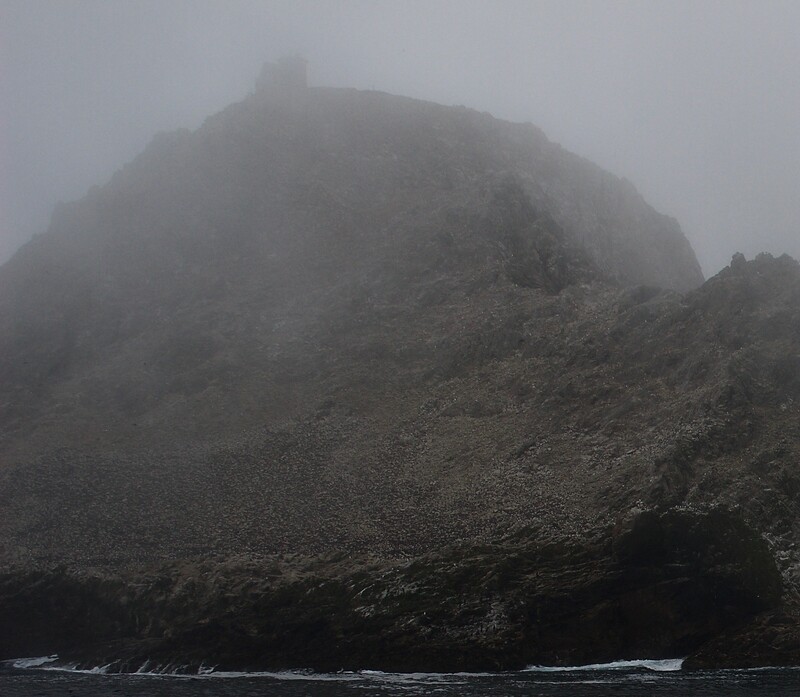 Southeast Farallon Island is the only inhabitable island of the set and this is where Navy and Coast Guard contingents set up shop in the 1900s, building schools, living quarters and other vestiges of modern society. The island’s population hit its peak during World War II, when more than 75 people lived there and manned a secret radar station. After the war, however, the Navy decamped and much of the housing was torn down. In the late 60s scientists arrived to monitor the wildlife, and it’s still home to a few researchers throughout the year monitoring the bird life and the blue whale and great white migrations. Due to the formidable rocky shores, any visitors have to get lifted off their ship in a zodiac that swings them perilously over the sea and onto a loading pad. For decades, lighthouse keepers served a cold outposting on the Farallons. 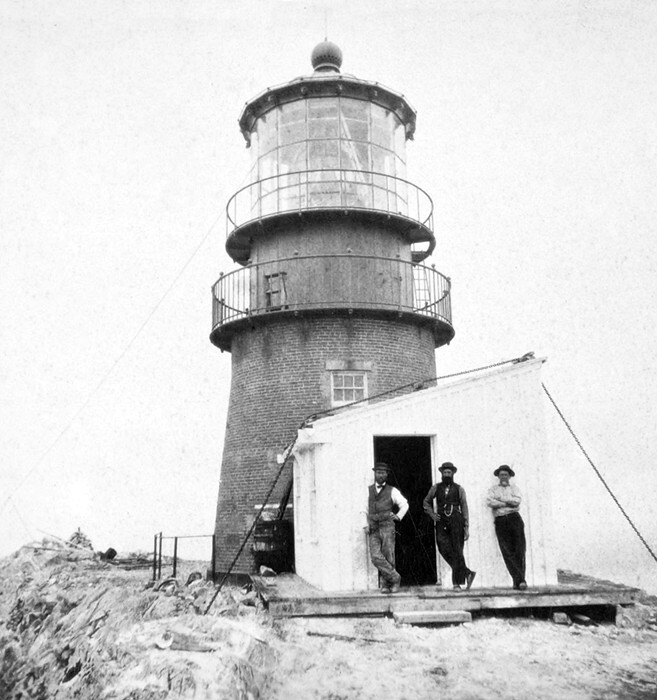 The lighthouse, built during the Gold Rush, passed into the Coast Guard’s hand in the 1900s. 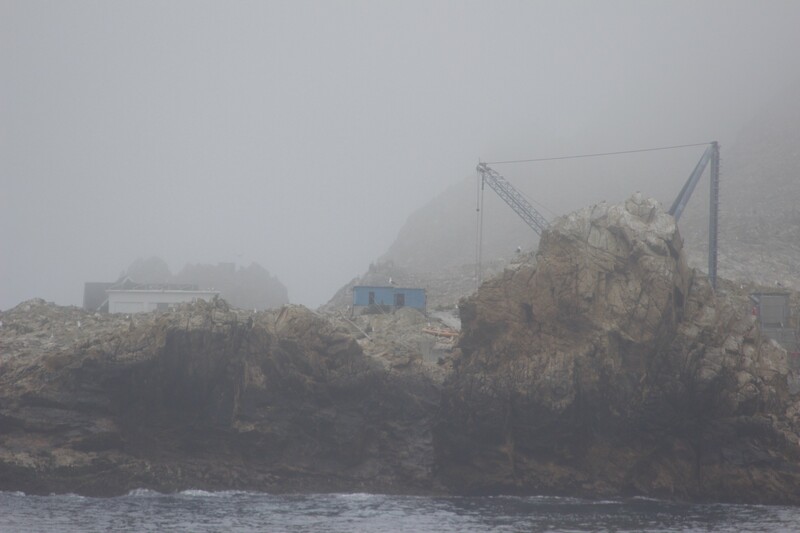 “I never thought about living on the Farallon Islands as being romantic or unusual or anything like that,” said one former keeper, who lived their with his wife and three kids. His duties? “”Keep the lighthouse light on. Keep the foghorn working, and keep the radio beacon going,” he said. The lighthouse’s lantern was removed in 1972, but continues the light the way for incoming vessels with a distinctly 21st century automated beacon. While I likely won’t make the trip again for a while, the Farallons do continue to exert their pull on me. They are part of San Francisco after all (District 1, to be specific), and I recommend all Bay Area folk take a pilgrimage to this piece of our history – well preserved in time but not enough by our collective memory. Want to take the trip? Here’s the tour company we used and highly recommend: Oceanic Society Whale Watching. Director of Integrated Marketing, Indiegogo. Writing about San Francisco & the history of magical places.